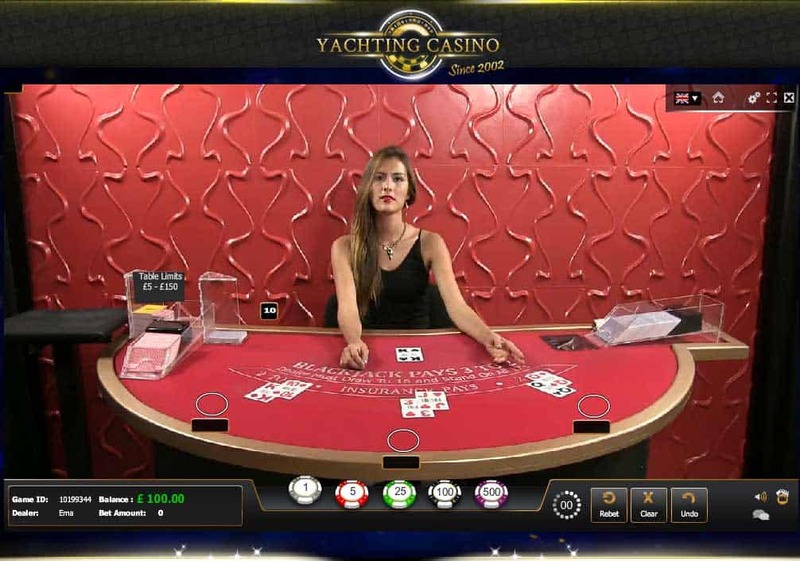 Yachting Casino announced that it was closing on the 31st May 2016. The Casino is no longer accepting new players and you won’t be able to play there from the 31st May. If you’re looking specifically for a Global Gaming Labs Casino then try Pinnacle Casino. Unfortunately players from United Kingdom are NOT accepted. 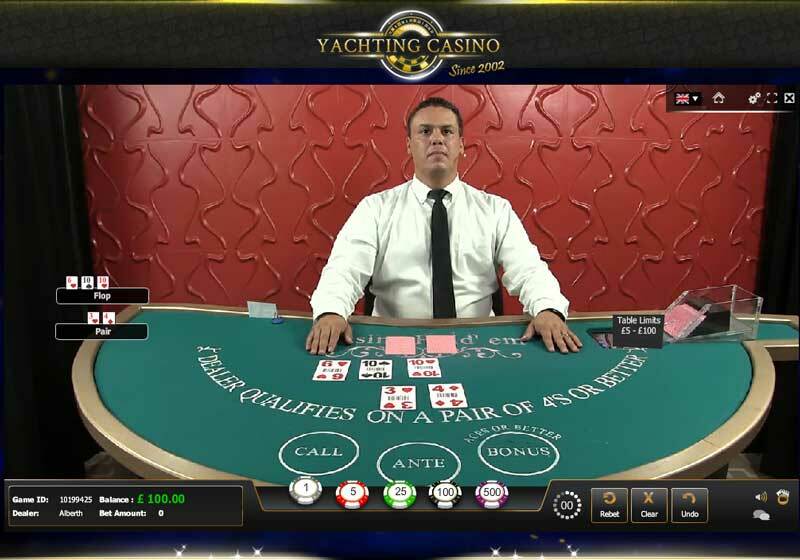 Yachting Casino has been around since 2002 which makes it one of the oldest online casinos out there. They offer a broad range of casino games which include Slots, Video Poker & Table Games and also a range of Virtual and Live Games that includes lottery, dice and the ability to Bet On Poker. As a casino they have some unique offerings that I wanted to share in my Live Casino Reviews. They are licensed by the Malta Gaming Authority and the UK Gambling Commission which are two of the most stringent licensing authorities around. 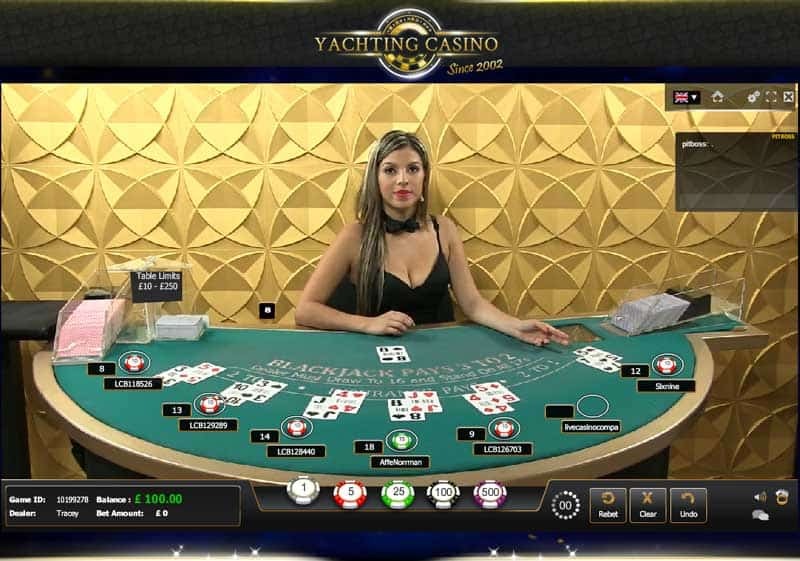 The Yachting Live Casino runs on Global Gaming Labs Live Casino software and the live dealer studio is based in Costa Rica. 5 live casino games are offered and as live casinos go this is a pretty good one. There are plenty of tables available across a range of stakes, and whilst high rollers may struggle to place large bets, low to mid rollers should find the available stakes more than enough. 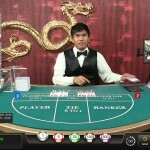 Live Blackjack – A seven seated game played with 8 decks that are manually shuffled by the dealer. One burn card is taken at the beginning of each shoe. The dealer uses the European No Hold card rule. You can double on anything including splits, but on split aces you can only take one card. The great thing about this game is the ability to surrender your hand for half your stake before you take a third card. There is a betting time of 15 seconds and pre decision is in place which helps to speed up the game. 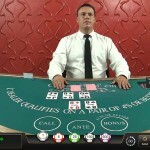 Live Unlimited Blackjack – This is played with 8 decks and has 3 dealing positions on the table. An unlimited number of players can bet on the three hands. All the standard playing rules apply with one exception. If a split occurs and you don’t want to you can surrender your hand and get your stake back minus 20%. 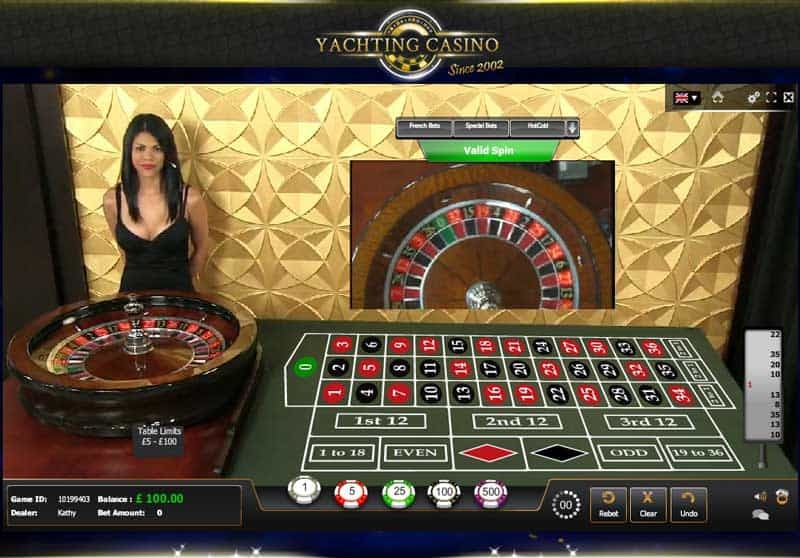 Live Roulette – This is the standard European Roulette. You have the ability to place French & Special Bets. Statistics show the results of the previous spins and the hot and cold numbers in play. 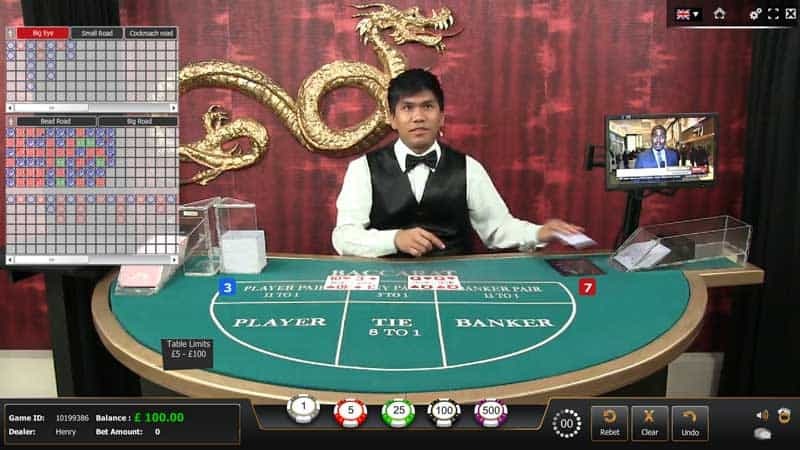 Live Baccarat – Played from an 8 deck shoe, this is a single player view that an unlimited number of players can play. Only the Pairs side bet is offered. There is a good selection of Roadmaps that display the previous results of each hand of the shoe. 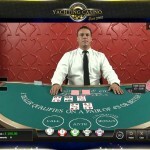 Live Casino Hold’em – this is a multi player single position game played with one deck. I like the GGL software and the playing interface. The lobby is straightforward with the available games listed nicely on the left. Clicking one of them brings up the available tables and you can quickly see where the free seats are in Blackjack. You often have the choice of two stake levels for each table. I actually preferred to play in fullscreen mode rather than in the browser window. The tables were a bit clearer and it was easier to see the cards and the details on the tables. There aren’t many options or settings you can play with. Dealer chat is available on all games but you can’t see other players chat, just your own. I found the dealers to be chatty but did come across a couple of dealers who had obviously been on a long shift are were showing signs of tiredness. I had one mis deal during this period which wasn’t very professional and down to the dealer not concentrating. I also found the software to be a bit laggy at times. I think it had a lot to do with my PC session, but it was more noticeable than say the casinos using Evolution Gaming software, which very rarely has lagging issues. The signup process is very quick, only the minimum amount of information was required before I could get into the site. I was unable to view the tables without making a deposit, which I never like, but I’ve played at Global Gaming Labs Casinos before so knew what to expect. 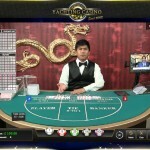 Check out the images below if you want to see what the live casino looks like. You are allowed to deposit and play but you need to verify your account before you’re able to perform a withdrawal. I always advise doing this first, because the last thing you want is any issues when it comes to withdrawing any winnings and it can be one of the most frustrating things. For verification you’ll need a copy of your id (passport, drivers license), a recent utility bill and a scan of the card used to deposit. What I really like and appreciate is that the Yachting live casino doesn’t hide the information away. There is a link on the home page to a very good set of instructions of what to do. You’ll find all the regular deposit and withdrawals methods available. There is a detailed list at the top of this review. 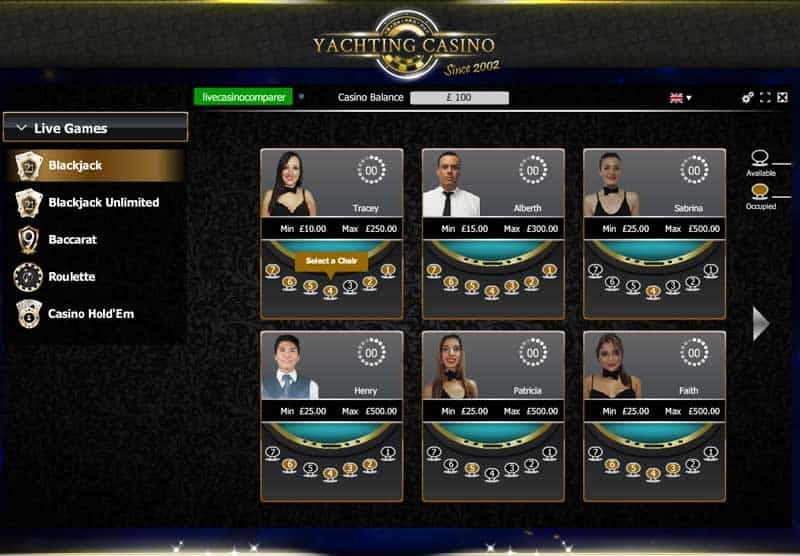 I’m happy to say that the Yachting Casino is fully licensed by both the Malta Gaming Association and the UK Gambling Commission, which are recognised as two of the better licensing authorities in the gaming business. There are no bonuses for Live Casino players. Whilst it looks like there is, a check with the Terms and Conditions and the support people on live chat confirm that. I for one am not particularly bothered as bonuses can cause all sorts of issues. It’s fairly typical for live casino players not to get a bonus but if you’re interested in bonuses check out my Live Casino Bonuses page where there are more details. They’ve got all the bases covered and support is available 24×7. The support staff are not that pushy and I found it very easy to connect and chat with them about the bonuses. I’d certainly recommend using chat is you ever need to talk with support. 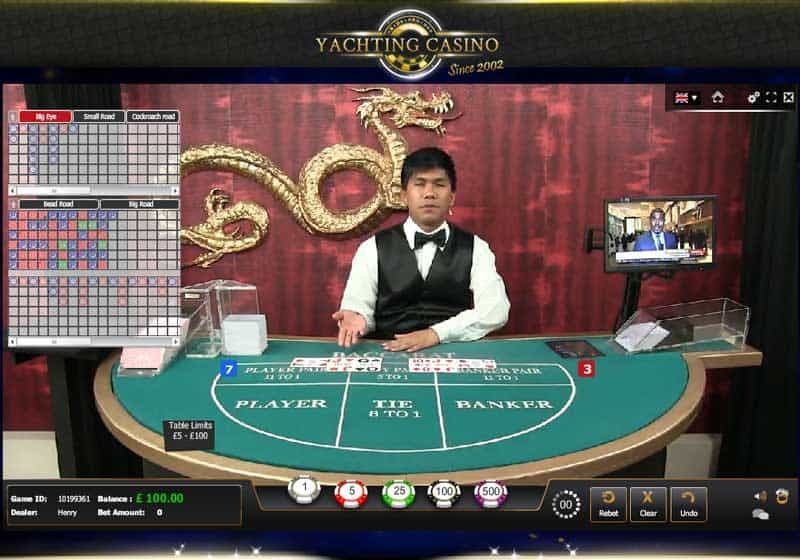 It was a real pleasure playing at the Yachting Live Casino, not least because they offered double down on splits and also the ability to surrender your hand in Blackjack. All the games ran smoothly and the dealers were pleasant and chatty. The signup, deposit and validation process all happened really quickly. The only downside that I experienced was a bored dealer and the site being a bit laggy at the start. 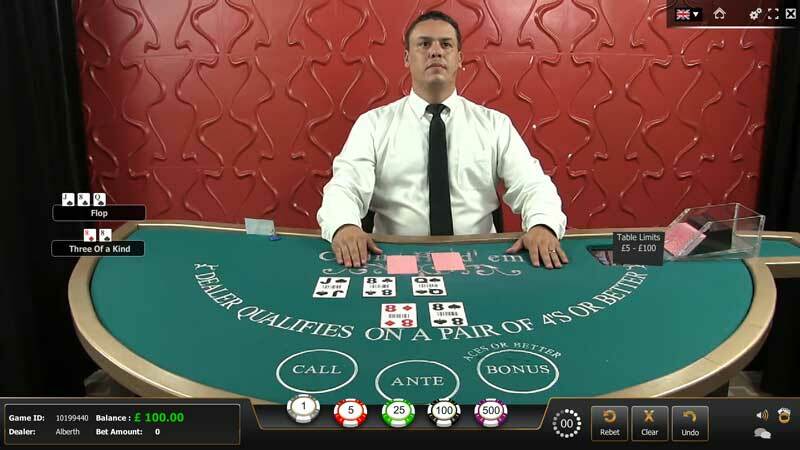 While the live casino studio is based in Costa Rica I didn’t find language or accents to be an issue and could understand the dealers very easily. Certainly a live casino I’m happy to recommend.